The Strength card is about taming those things that seem like they’re out of control: appetites (whether it be for Thin Mints or a hook-up with that toxic person you can’t resist), emotions, situations. The Strength lady is calmly closing the lion’s mouth, showing no fear. She actually looks like she enjoys this. Even in the face of something that could chomp her hand off, she’s all like, “Nice kitty…” She’s perfectly aware that animals can smell fear (or when its time to go to the vet) — and she’s worn her extra-strength deodorant. Fear is so pervasive in our lives, whether it be the kind that freaks you out when you go to the dentist — or the pervasive “dum dum DUM” of the news cycle. To really overcome it, you need trust: in yourself, your support system, not to mention things bigger than we are (meaning: God, spirit, the Universe …whatever you want to call it). Trust in our ability to face things that seem overwhelming — and deal with them — is the fundamental message of this card. I also don’t think its random that the character in the Strength card is female. 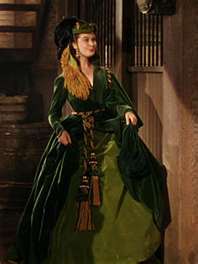 Think of some of the badass women of history (fictional or otherwise) like one of my all-time favorites, Scarlett O’Hara. She didn’t let a little thing like the Civil War get her down. ….or this one. Before she took the throne, Elizabeth was locked in the Tower for a time. 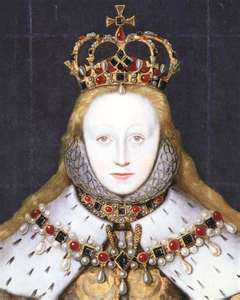 When she got wind of her sister, Queen Mary’s plan to have her executed, she wrote a long letter pleading her innocence. She purposely took so long that the messenger had to wait til the next day to take it back, because the tide on the Thames had gone out. That gangsta move bought her some time — and ultimately, her life. 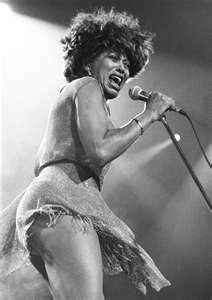 …or this one….She walked out of an abusive relationship with something like 5 bucks and a gas credit card, and wound up with a whole bunch of Grammys. "How ya like me now, Ike?" ….or even my new favorite, Big Ang from Mob Wives! Just ’cause of her hats! The point is, women have incredible reserves of intuition and wisdom to call on — even when they don’t think so. We have put up with a lot of crap. And yet, we keep moving. Even when we’re scared to death, we can make it look like we’re just waiting for our nails to dry. To me, that’s the essence of the Strength card: reducing all those things that look they’re a-gonna kill us to a whole bunch of “la la la I can’t hear you.” That basic truth applies to the men out there, too. The Strength lady has love for everybody! BTW, if you need a reminder of your own Strength, just pick out an awesome hat. Big Ang can help you!